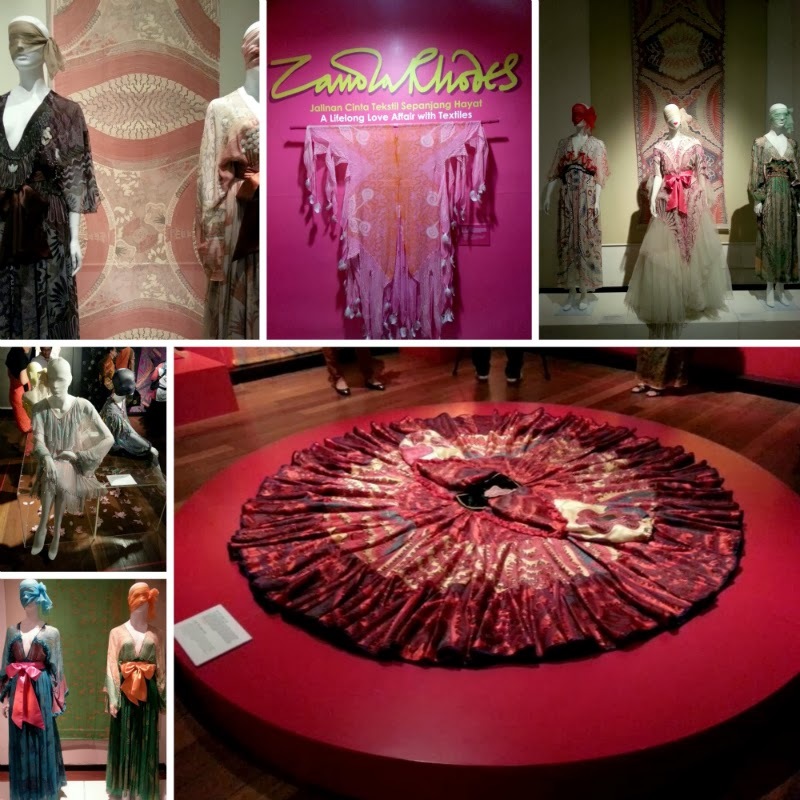 On 12th November 2013, after I came back from work my dad invited me to the launch of "Zandra Rhodes : A Lifelong Love Affair with Textiles" at the National Textile Museum. He told me to invite one of my friends so I straightaway thought of my soul sister Ruzana Ibrahim who would appreciate these kind of things. It was so random but she agreed even though I invited her less than an hour before the event. I was in awe with everything displayed in the exhibition. Everything was so beautiful. I wish I could have some of the fabrics and dresses being exhibited, they were so unique and artistic. If you want to know more about Zandra Rhodes you can read here : About Zandra Rhodes. 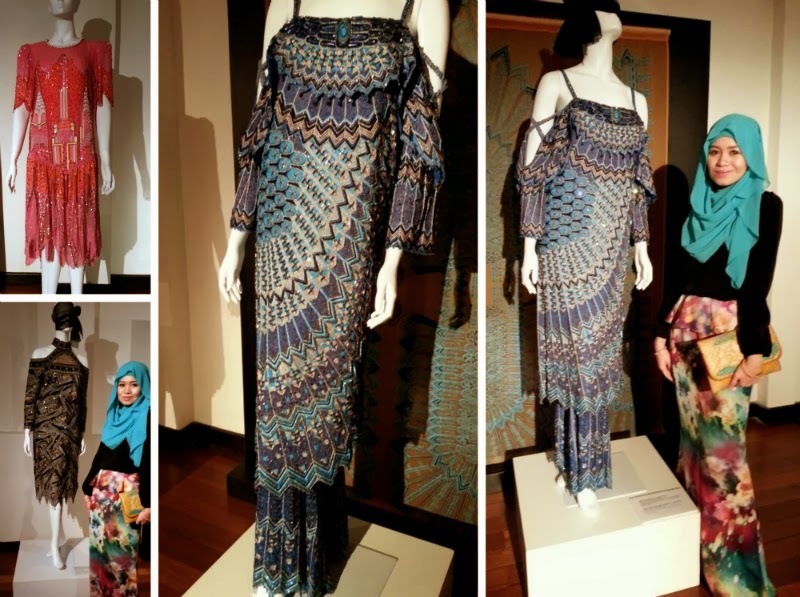 I took photos with some of my favourite pieces and the fully beaded blue geometrical patterned dress reminds me of what I wore for Anugerah Bintang Popular earlier this year (My ABPH experience). It was Ruzana's birthday eve and it was so funny I really wanted to rush back before midnight to post my first Insatavideo on Instagram to sing a birthday song for her only to have someone else beat me to it! Haha. Anyways, I was happy that I spent the eve of her birthday with her. 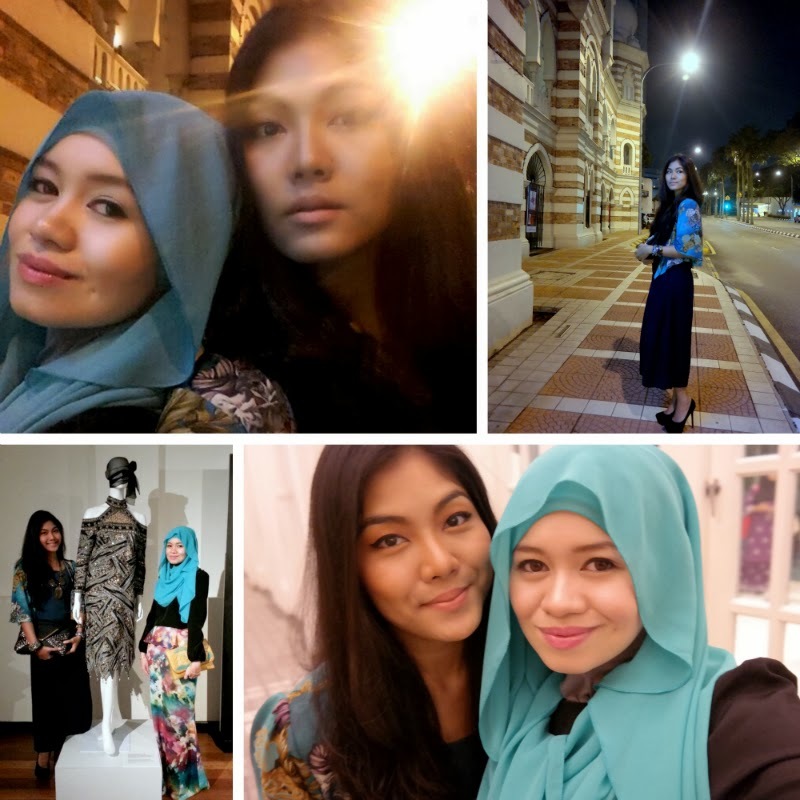 Because I remember exactly one year ago from that day, 12.11.12, my loves Ruzana Ibrahim and Fahima Salleh was at the hospital on my 12th day in the hospital and the day of the passing of my late grandmother Arwah Tah. I remember it so vividly because all my family members had to attend her burial and i really wanted to be there with everyone at the burial, but I was at the hospital. I wrote about it in Expect the Unexpected II. Knowing Zandra Rhodes only from a quick search on the internet, I decided to wear something colourful to match the mood of the launch. So I decided to wear a colourful abstract print peplum skirt (I've worn in Raya on Fire ), pink heels, blue scarf and a basic black top just to tone the whole look down. When I was thinking of taking pictures with zandra after the show, the humble Zandra actually asked someone to take pictures of the both of us first! It must be my pink shoes that attracted her since pink is her favourite coloour! Hehe. Jokes aside, she was really sweet and friendly. It was good to get to meet her in person. 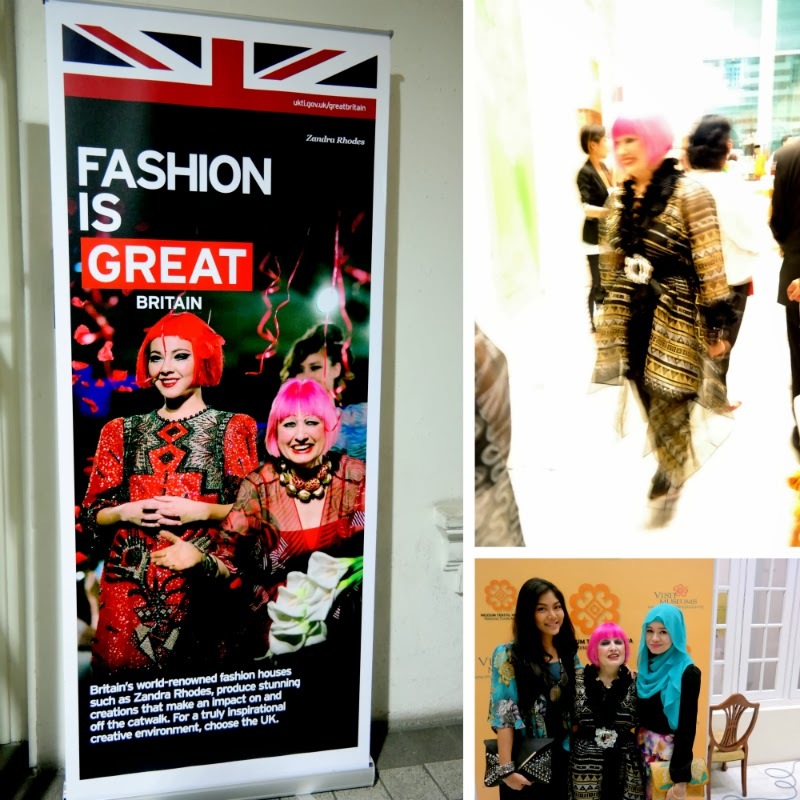 Its also heartening to know that a talented British can appreciate fabrics and textiles, and coming all the way to Malaysia to promote her love for these fabrics. I really hope I would have an opportunity to see more of her exhibitions in the future.